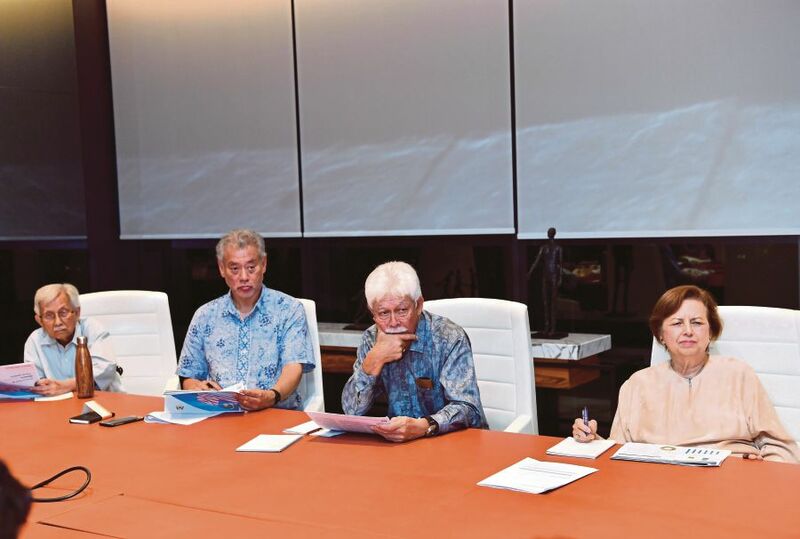 (File pix) Prime Minister Tun Dr Mahathir Mohamad and the Council of Eminent Persons must be congratulated not only for the decision to form the Committee on Institutional Reforms, but also for the choice of persons who sit on this committee. PRIME Minister Tun Dr Mahathir Mohamad and the Council of Eminent Persons must be congratulated not only for the decision to form the Committee on Institutional Reforms, but also for the choice of persons who sit on this committee. Institutional reforms, including constitutional amendments, must be taken as the guardrails of our democracy. Public trust in our primary institutions has been going down a slippery slope at an accelerated and unexpected pace. Our system of checks and balances designed to prevent leaders from concentrating and abusing power has, in most part, failed us. It may be instructive to recall that constitutional safeguards, by themselves, cannot secure a democracy. The great German constitution of 1919, which was well-crafted by great German jurists, saw the beginning of its end, with the ascension to office by Adolf Hitler, who was initially elected through democratic means. Closer in time and region is the classic case of the Philippines. Its earlier constitution, modelled on the American constitution, replete with separation of powers and a Bill of Rights, collapsed under the rule of Ferdinand Marcos, who, too, was democratically elected. It should, therefore, be clear in our minds that no institutional reform nor a constitution, however well-drafted, can guarantee faithful adherence to democracy. There would surely be a number of lacunae and ambiguities as the committee cannot be expected to anticipate all possible contingencies or to anticipate how future leaders would conduct themselves in varying circumstances. There would always be competing and creative interpretations of the law, and construction may often be in a way that their creators neither intended nor anticipated. It is, however, not suggested that the work of the committee would be an exercise in futility. Reforming our primary institutions is paramount, particularly in current circumstances. As important as the guardrails of democracy are, its gatekeepers are the members the committee. Each person on the committee has had a long and consistent history in defence of democracy. Without detracting from the capabilities and sense of purpose of the others, it is my respectful view that the choice of Datuk K.C. Vohrah as chief gatekeeper has been an inspired one. Most members of the Malaysian Bar would agree that, whether one won or lost in any hearing before judge K.C., one always came away with the satisfaction of having been allowed a proper hearing and with the confidence that there could not have been any oblique influence on his decision making. During his distinguished career, Judge K.C. has never been tainted with even a whisper of any impropriety. Having followed the live interviews of the committee on television, one got the impression that some members of the committee, with their well-intended enthusiasm, may well wander into areas outside the four corners of their terms of reference. Judge K.C. has an unenviable task of reining in their enthusiasm, which is understandable in the circumstances and much appreciated by most Malaysians. The short time frame given to the committee may be insufficient in the circumstances; there is so much to do. Our government is urged to consider granting the said committee or a similar body a reasonable length of time to come up with comprehensive recommendations. This is not a task that can be done in unholy haste; the gatekeepers have to entrench the guardrails in stone. This entry was posted on Tuesday, May 29th, 2018 at 9:34 am	and is filed under Ethics, Morality and Patriotism. You can follow any responses to this entry through the RSS 2.0 feed. Both comments and pings are currently closed.